If you did courses basic course through a fellow baker/decorator (any course not recognised basically) please advise what and where? Ive’ had a lesson on covering a cake with fondant with Cheryldene from A Slice of Nice, I have also done a few flower classes with Sharon Jackson from CakeTopia Cakes & Bakes , Ive done a lesson in basic business planning and costing with Gizelle Pinto from The Sugar studio. 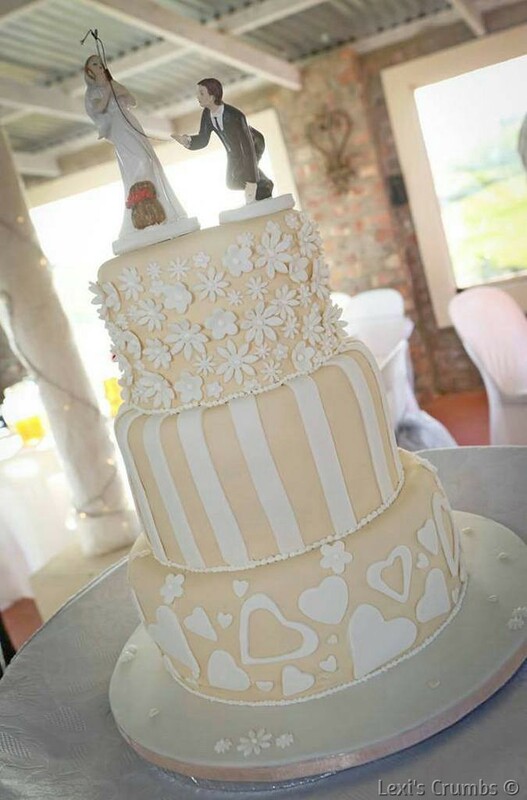 I also belong to the South African Cake Decorators Guild. Biggest challenge as a cake decorator? Time management and keeping on top of all the admin. Any advice for people looking to start doing cake decorating? Attend as many lessons as you can, and use the internet, it is a great resource. There are loads of blogs and You Tube videos with wonderful tutorials out there.